Stefano Pozzebon/Business InsiderGo on George! 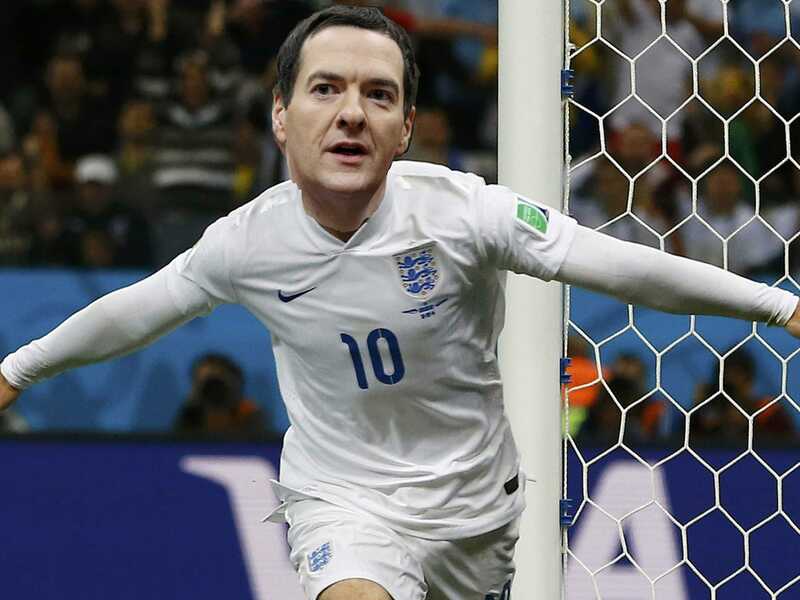 George Osborne scored a huge goal today as he claimed to have cut the UK’s £1.7 billion bill owed the EU in half. 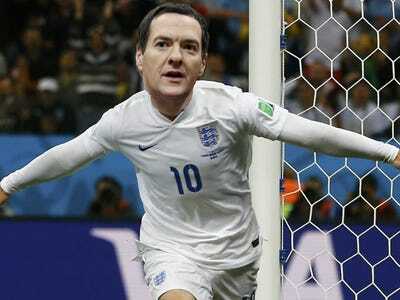 The BBC reports that Osborne was in Brussels to lead the negotiations, and secured a discount of 50% on the total. The discount was made possible by applying a rebate to the payment: the UK will have to pay total amount to Brussels but will receive about 50% back. The rebate scheme is a result of Margaret Thatcher’s negotiations with the EU over agricultural funds back in the 1980s. In addition, the bill will be paid in two separate transactions in 2015, giving the UK Government 12 more months to find the money. The BBC’s political editor sounded a note of caution, however, writing that the bill has yet to be “carefully scrutinised.” A spokesperson from the UK treasury was not immediately available to confirm the deal. On 24 October the UK treasury had received a request for the £1.7 billion, due by the end of this month, because the British economy was performing better than other EU countries. In the Union, every country donates to the central budget according to its means, and since the Britain has grown the most in the last few years it was told to pay an extra share. Both France and Germany saw their bills reduced because their economies were underperforming. The request hit a nerve in the UK, with David Cameron vowing not to pay the bill: “Britain will not be paying €2 billion (£1.7 billion) to anyone, and we reject this scale of payment,” he said. Eurosceptic politicians within the Prime Minister’s Conservative Party and members of the right-wing UK Independence Party kicked up a fuss about the bill, attempting to use it to stoke support for pulling the country out of Europe. Although the terms are yet to be confirmed any sign that the government has won concessions from Brussels will be seen as a victory for Cameron, who had seen his leadership questioned over the issue.